Your independence is one of the most important things in your life, so having a chair that you can easily get into and out of can make a huge difference. Riser chairs (also known as ‘lift and recline chairs’) feature a powered lifting mechanism that raises the chair up from the base, making it easier for you to sit down and stand up. 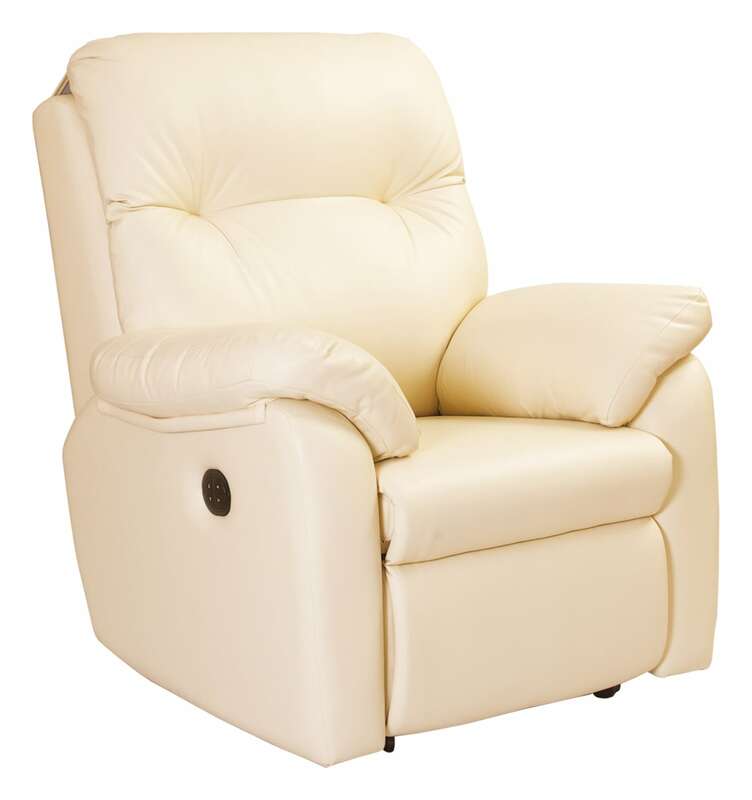 The reclining action means that you are more comfortable, especially if you are sitting down for long periods of time. 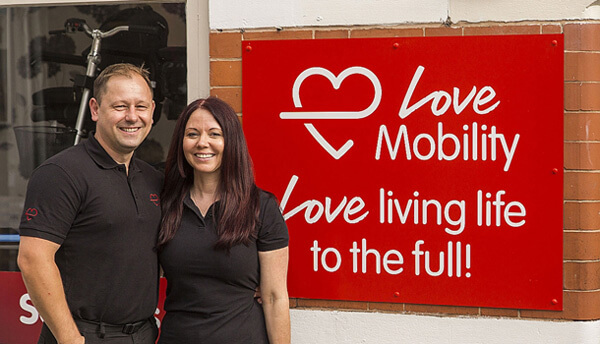 At Love Mobility, we strive to ensure that our customers have the very best riser chairs in terms of quality, style and comfort. You can choose from a range of back styles, materials, and mechanisms that best meet your specific needs. And if you can’t find anything that you like, we can instead build a bespoke, made-to-measure chair that will fit you perfectly and therefore provide the most support and comfort possible. Whether you have a space large or small for your chair to go into, it’s crucial to know exactly how much room you have. Not only does your chair have to fit your space, it has to be comfortable, too. So it’s important to consider seat width, seat depth, seat height, back height and arm height to ensure that you have the comfiest combination possible. We also appreciate that a riser chair can be a big investment and therefore a big decision for you – and with this in mind we offer a FREE Home Assessment where you can benefit from our extensive knowledge of riser chairs. And if you are able to visit our showroom in Wellington, Shropshire, we have a wide range of riser chairs for you to try there. 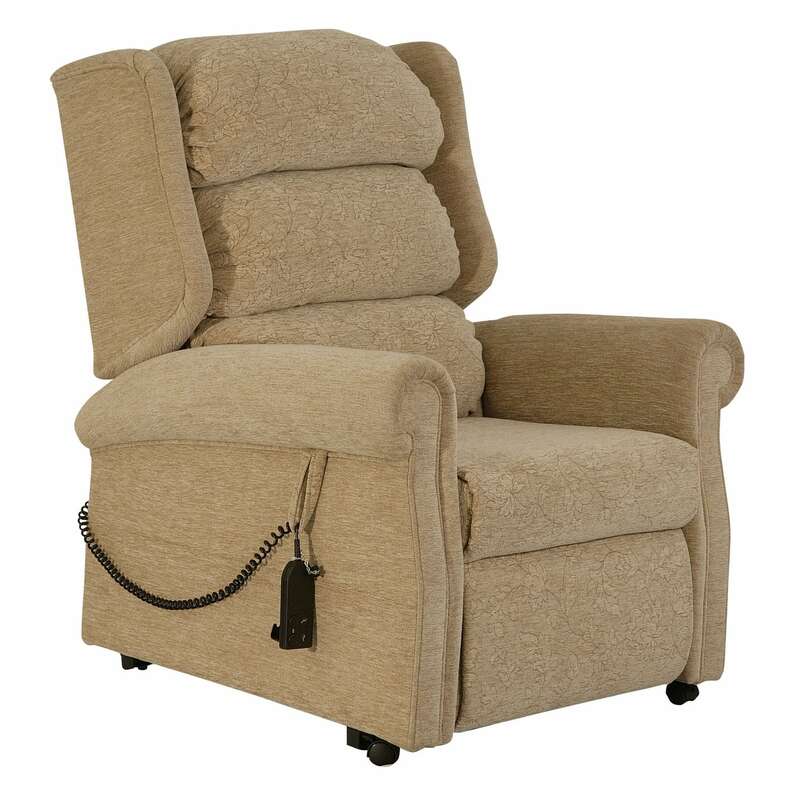 Experience real comfort with the Lateral Riser Recliner Chair. It has a supportive, fibre filled pillow back with removable panels provide superb comfort and the velcro attachments allow for individual adjustments to be made. The filling can be personalised to meet the customer’s specific requirements, as the panels have zipped access. 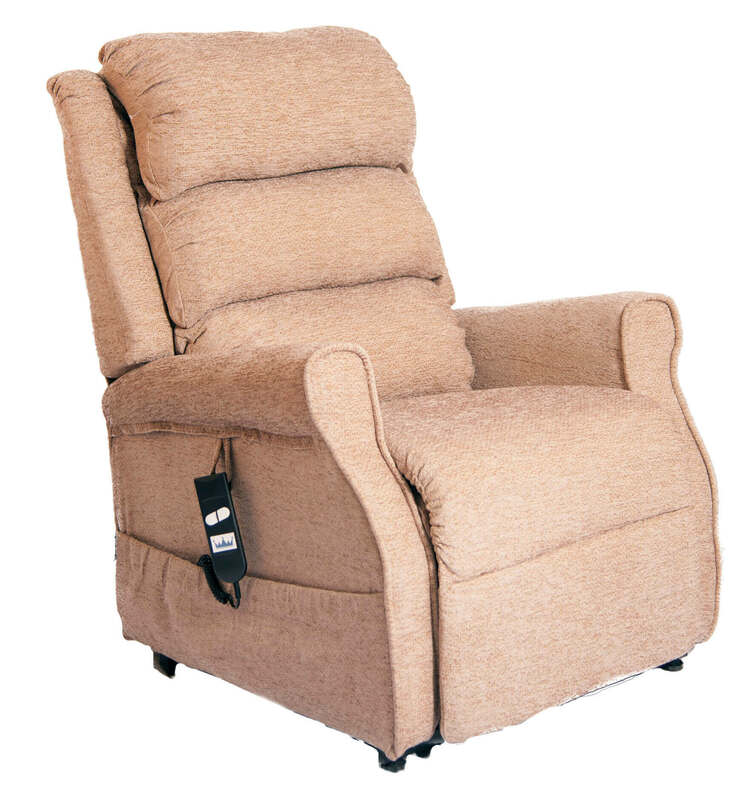 The Kingsley riser recliner chair is available with a single or dual motor, making it perfect for those who want to relax in comfort. This chair also features a strong, well made, wood and metal frame. 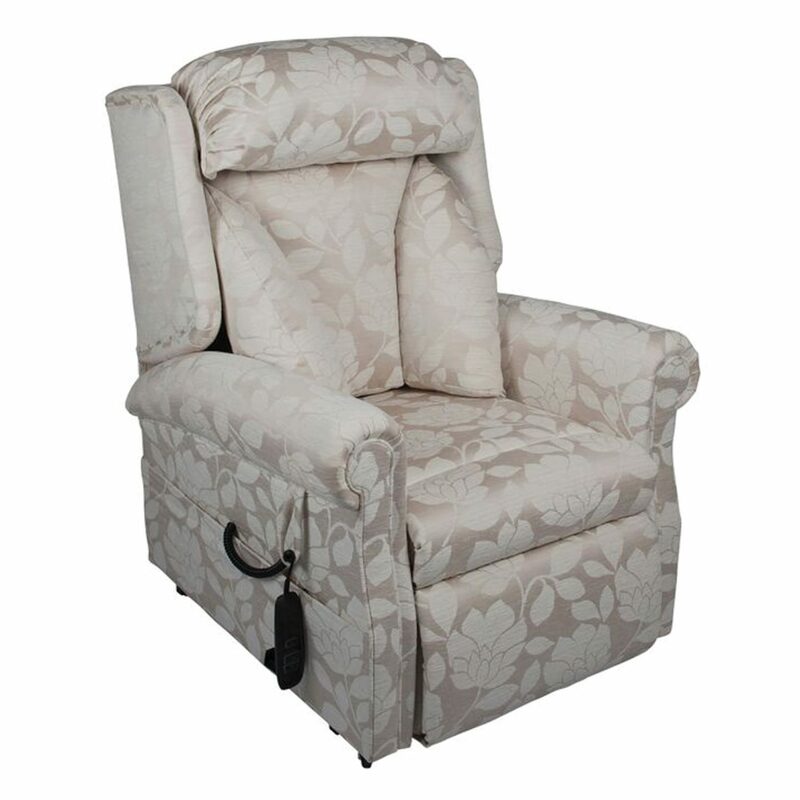 With a push of the button, the chair will effortlessly recline into a comfortable position, so you can relax. When you’re done, the chair will lift and tilt making it much easier to get on your feet. The Royal is one of the most popular chairs on the market. It is practical and versatile but also has a modern styling that comes in many fabric options Large supportive wings ensure the cushions are held in position while the three bolster cushions, each removal with its own zipped back, enable the users to create their own personalised configuration. Its versatility makes it one of the most popular styles of chair available. The perfect combination of comfort and style, the Kensington boasts modern and contemporary design with opulent and comfortable cushioning on both the back and the arms.